The assertion by Papua New Guinea Prime Minister, Peter O’Neill that Bougainville will not be given its independence is an act of sabotage of the peace process in Bougainville and the Joint Bougainville Peace Agreement signed by the National Government of the Independent State of Papua New Guinea on the 30th of August, 2001. It also pre-empts the outcome of the Referendum on the future political status of Bougainville and ratification of the outcome of the Referendum by the National Parliament of Papua New Guinea. 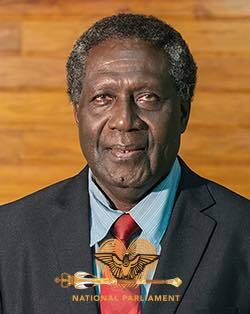 North Bougainville Member of the National Parliament, Hon. William Nakin said this today when responding to statements made by Prime Minister O’Neill recently in Kavieng and during the Leaders Forum held in Port Moresby in March, 2018. The Constitutionally guaranteed Bougainville Referendum on the Region’s Political Future will take place on the 15th of June, 2018. This is in compliance with the Bougainville Peace Agreement, Part XIV of the PNG Constitution and the Organic Law on Peace Building in Bougainville. The Peace Agreement states quite clearly that the Referendum cannot be held before 10 years and not after 15 years from the date of the inauguration of the first Autonomous Bougainville Government. The third anniversary of the Autonomous Bougainville Government (ABG) will be celebrated on June 15, 2019 which is the 15th year of existence of ABG, which in compliance with laws that implement the Agreement, the final day that the ABG and the National Government had been given to hold the Bougainville Referendum for the people of Bougainville to decide their future political destiny. I want to make this quite clearly to the people of Papua New Guinea and Bougainville. Holding of the Referendum to enable the people of Bougainville to decide the future political status of their Autonomous region in relation to PNG as an independent nation, is a constitutional requirement that must be adhered to. The outcome of the Referendum and the final ratification of the Referendum by the National Parliament of Papua New Guinea is the real concern Bougainvilleans should seriously consider now and in the next 8 months to June 15, 2019, the date set by both the ABG and the National Government of Papua New Guinea through the JSB to hold the Referendum. The National Government and the Autonomous Bougainville Government as joint creators of this Peace Agreement should begin to show some real, real genuine commitments to the full implementation of the Agreement. The people must be enabled to see, feel and taste Autonomy if they are expected to vote in its favour; otherwise they have other choices, including a choice for a separate independence for Bougainville. If the majority of Bougainvilleans so decide to vote in favour of Independence, there is no constitutional guarantee for the National Government of the Independent State of Papua New Guinea to declare Independence for Bougainville, simply because the outcome of the Referendum is not legally binding. That is the difference, the truth we in Bougainville must begin to realize before we go to cast our votes for the future of our motherland. So Bougainville, I call on each and every one of you to follow the Bougainville Peace Agreement and implement the Agreement accordingly. The President Chief Dr John Momis has said this many times before and now the Prime Minister of Papua New Guinea, Peter O’Neill has repeatedly called for us to follow every word of the Peace Agreement, except this time, the Prime Minister has gone one step further by reminding the country’s Lawmakers (parliamentarians) that they have a constitutional duty to protect PNG’s sovereignty. In many ways, the Prime Minister has on many public statements pre-empted the outcome of the Bougainville Referendum, which to me as a leader, is not healthy to the peace process in Bougainville, in fact it is a sabotage of the peace and unification efforts. The people of Bougainville are very much aware that the outcome of the Referendum for their political future is not a binding one, but they are happy that at least a referendum will be held and, that referendum will provide greater opportunity for my people in North, Central and South Bougainville to make a free, fair, safe and just decision on an outstanding political matter of the Peace Agreement – Independence for their motherland. The fight for Bougainville independence is not a new thing to the governments of Papua New Guinea, past and present. It is not a new thing too for the international community. It happened before and we were given a Provincial Government system which the country adapted for all provinces. It happened again in 1989 and we were given the so called highest level of Autonomy which is yet to be fully realized and the Prime Minister has announced and acknowledged that it is the way forward for Papua New Guinea. The fact remains, it is not Provincial Government, not Autonomy in its present phase that the people of Bougainville want. The people want the government of Papua New Guinea to give Bougainville its ultimate desire – a separate independence. And the Peace Agreement provides the opportunity for the people to decide in a free, fair and safe Referendum their Province’s future political status. Ultimately it is Prime Minister Peter O’Neill who holds the master key to Bougainville’s sustainable peace through peaceful means. He alone can make or break it, depending on how he handles the final outcome of the Referendum in Bougainville. The negative undercurrents coming out from his recent statements will not help to move the peace process forward.